This morning I got an email from my friend Nancy, who has resurrected her Random Friday blog hop. I used to really enjoy that hop and am really happy she’s made this decision. I’m so sorry about winter out East this year. Completely don’t understand what’s going on in the world. Here it’s mild, early spring, very little snow pack. 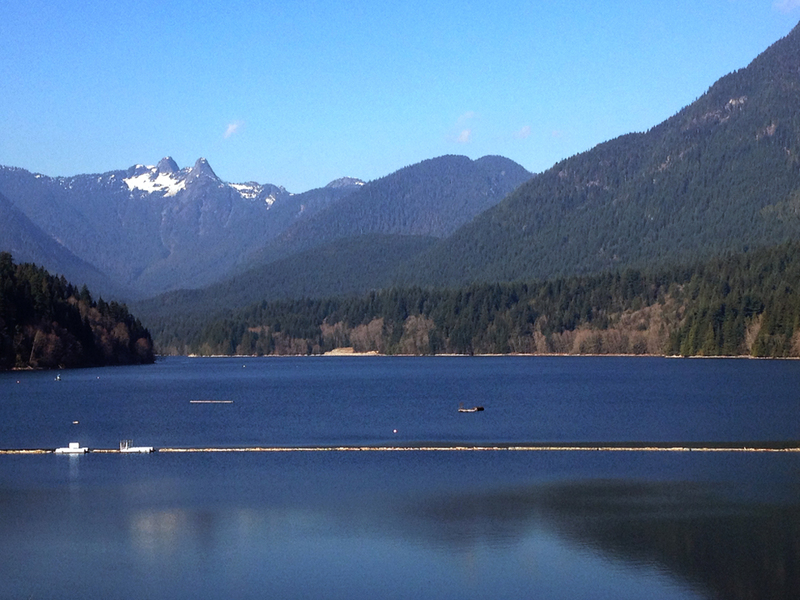 Loving the sunshine, but am a bit worried about the lack of snow for summer water. 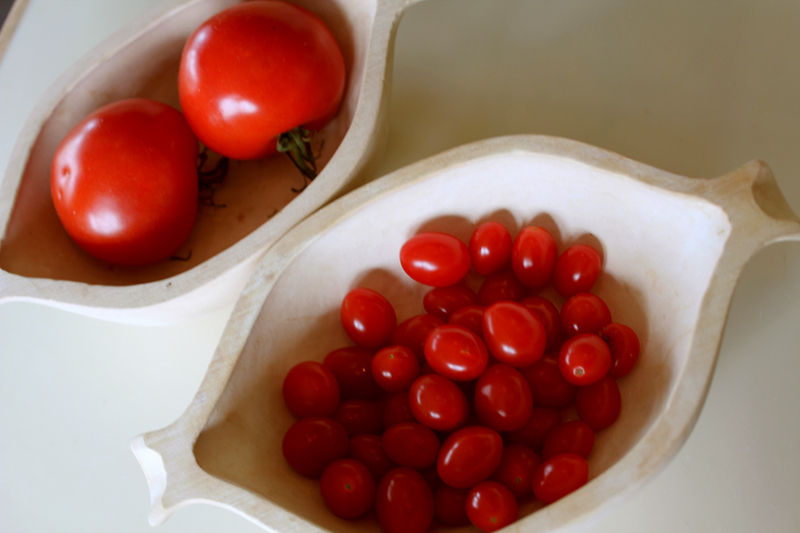 Tomatoes, organic or not, big or small, roma or beefsteak, tomatoes taste rather bland this time of year, don’t they? Clover’s lunch time and after school art classes are going really well. 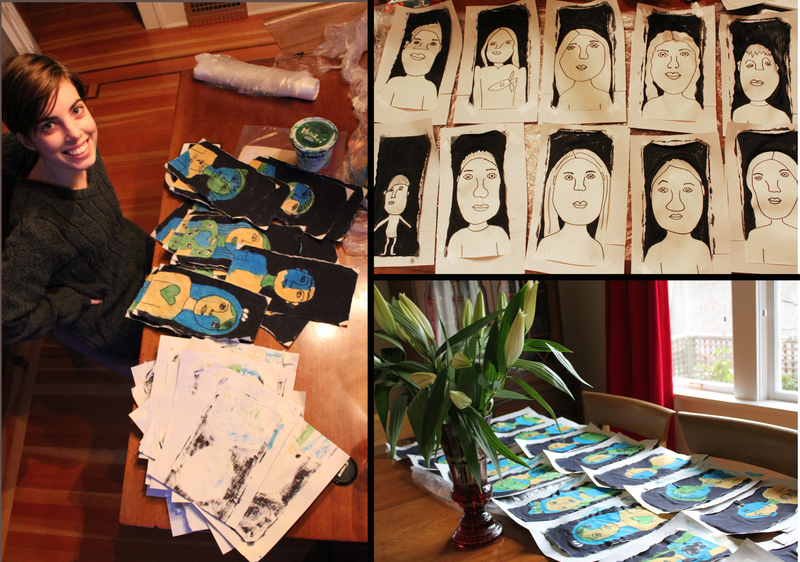 This bunch of self portrait paintings, done by 6 and 7 yr olds are going to be turned into pencil cases for them. Aren’t they wonderful? 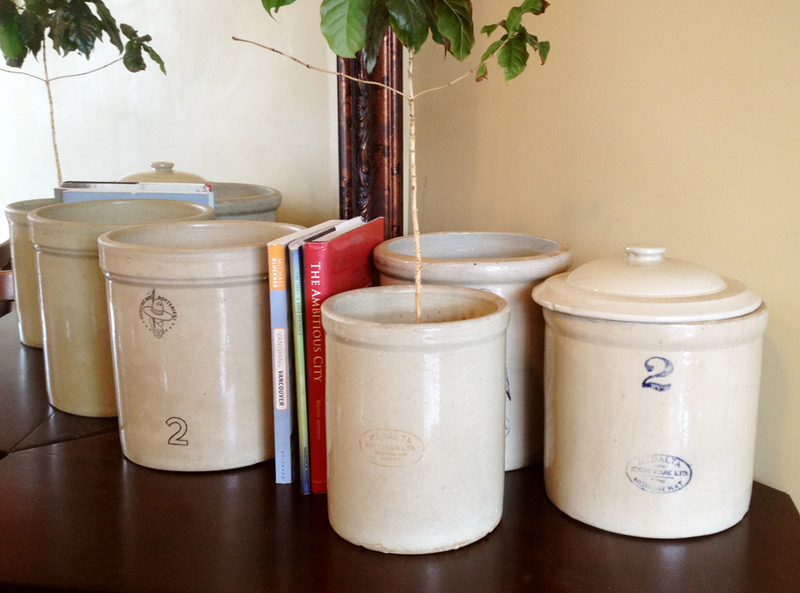 Years ago I’ve lost one of these pots to carelessness and an unexpected frost. I still have the lid and am having the darnest time replacing the pot. Isn’t it supposed to be the other way round? Happy New Year everyone. Memories of 2012, a pick and mix from my personal files. Tomatoes out of season are bland — but still pretty! Thanks for joining in — much appreciated. Gorgeous pics .. Loving those self portraits ???? Happy Friday to you! Yes agreed, tomatoes are bland. I am curious about the weather too! I wonder if we are really experiencing global warming or global freezing? The pots you have from Medalta Potteries are made in the city where I grew up in and work in now! How cool is that? How are the portraits being made into pencil cases? What supplies are being used? I think my grade one students would go “gaga” over them! Were they? It’s great to know a little more history. The pencil cases and acrylic on canvas rectangles, Chloe was studying some Henry Matisse with them. They were given to a seamstress to fit the zipper and sew them together with a black cloth side. Sometimes this type of post is just the very best, and this is one of those times. I like the idea of randomness! Like you, I feel for family and friends in the east. Here we are – a glorious morning, with blossoms outside every window and back there they are still suffering with ice and storms. Not fair! It was fun to rejoin Nancy with R5F. I know what you mean about feeling bad for all those with snow. We’ve hardly had any and yes like you said that may be bad come summer. I agree tomatoes in the store most any time of the year don’t taste nearly as delicious as fresh from the garden. What wonderful art work those kids did. 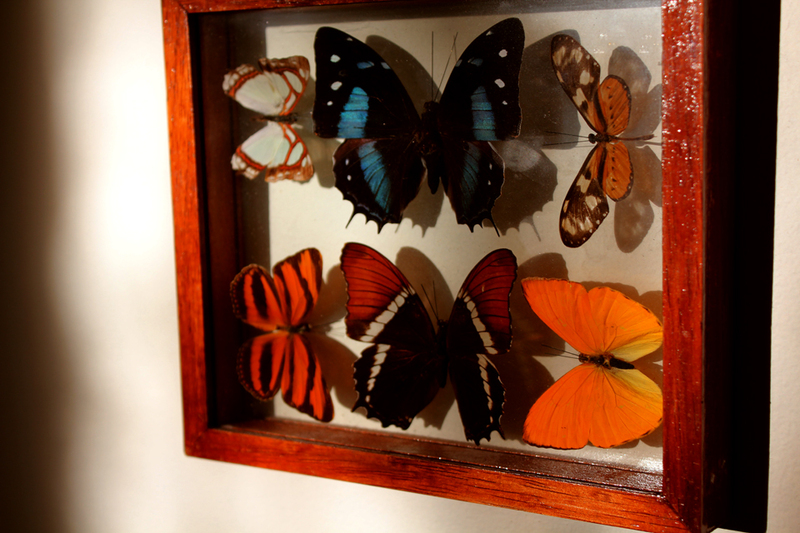 Lovely butterflies, it’s great to enjoy the sunshine.